It’s always a blast watching the Patriots lose; it’s special to see it unfold on the world’s biggest stage. Super Bowl 52 was a great game. It was more or less a shootout, and the difference in the game was really just one play, the only defensive play of the game. That strip sack was an interesting play for me because for the entire game I barely reacted when anything went the Eagles’ way. I’ve seen that movie one thousand times, and I was so so confident that it would unfold as it always had, with the Patriots getting the W. For the first time all night, that turnover got me out of my chair in exclamation. Until I saw 0:00 on the clock, I was sure it would go the Patriots’ way as it so often does. I was convinced the hail mary would be a touchdown. I’m still wrestling with understanding how it actually happened. But it did. And I’m so happy about it. One last thing about the game itself – Doug Pederson had Philly ready to play. They were aggressive, but smart, the entire game, and that’s the only way to beat the Patriots. You cannot play scared or not to lose, and the Eagles were fearless. It was glorious watching the Eagles take what the Pats usually do and shove it down their throat. I hope the spoiled, crybaby Patriots fans have a nice long cry. 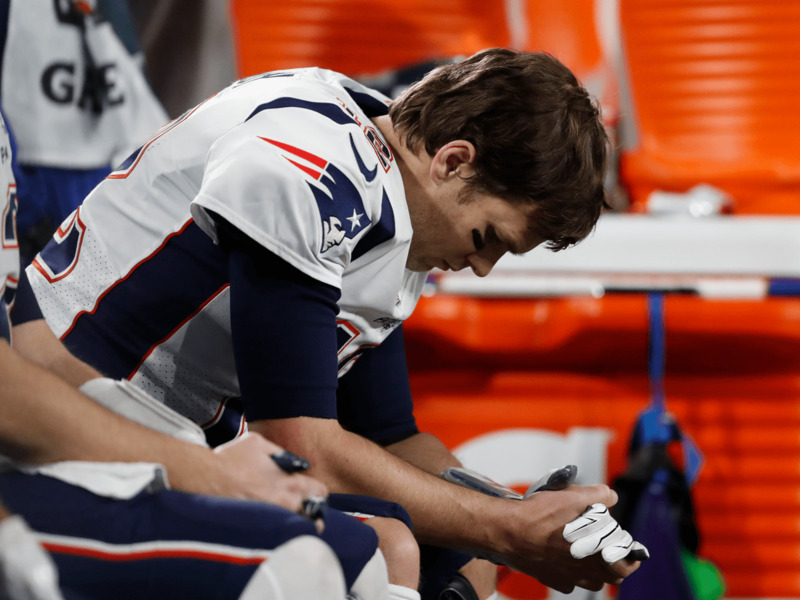 Did Belichick’s arrogance lead to New England’s undoing on Sunday? Possibly. Is it the end of the dynasty in Boston? Doubtful. But this is a step in that direction. I have no doubts that the Pats’ dominance will continue for 5ish years. I have no doubts that we’ll be back here again next season and the one after that. It’s sickening. But this was proof positive that anyone can be beat. Nick Foles and Doug Pederson outplayed, outsmarted, and outdueled Tom Brady, Bill Belichick, and the entire Evil Empire. This was proof positive that the end of this nightmarish era is on the horizon somewhere. I don’t take much stock in the rumors about the in-house power struggle, and even if it’s true I don’t see that being the ultimate cause of this regime’s demise. Whether it happens in one year, two years, five years, or eight years, Tom Brady and Bill Belichick won’t be running through the AFC forever. I’ve suffered through 15 years, I can wait a little bit longer. I am genuinely happy for Eagles fans. I loathe the city of Philadelphia but have not one iota of bitterness towards the Eagles, oddly enough. Maybe it’s because we (Jets, Jets fans) share a common foe in the New York Giants. Maybe it’s because we both wear green and white albeit a different shade. Maybe it’s because, until Sunday night, we’ve both longed for a championship. Misery loves company. 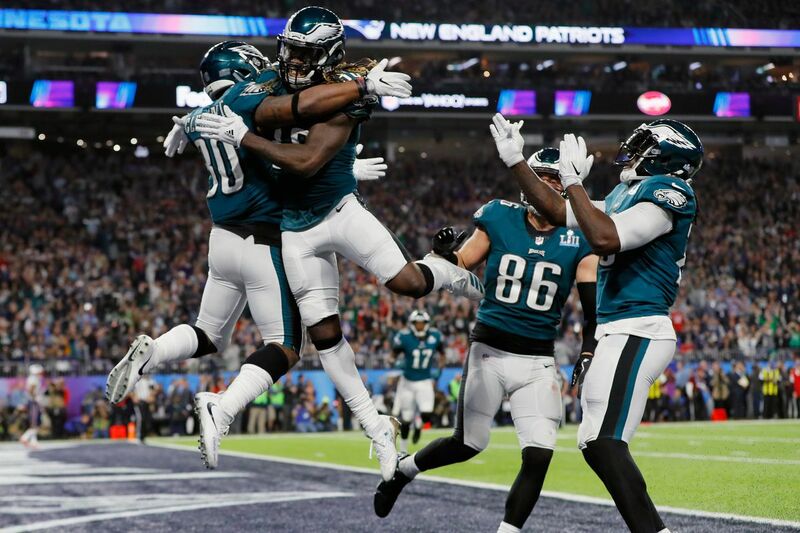 And now that the Eagles have finally reached their North Star, now that the fans have a “one up” on us Jets fans, I can’t help but feel happiness for them. This has nothing to do with deploying karma to one day be rewarded as a Jets fan. Any Jets fan that thinks KARMA is going to right this sinking ship of ~50 years is delusional. But watching the city celebrate in unison is something I’ve dreamt about. If the Philadelphia Eagles can win the Super Bowl, then there’s hope that one day (TBD) the New York Jets fan be on top once again. I don’t expect anyone to be happy for me or the Jets when they day eventually comes, Eagles fans included. Nobody will be able to sour our moment in the sun. The party continues on in Philly, rightfully so, and if we’re lucky the whole city will burn to ashes. I can be happy for the Eagles and their fans and still hope the entire city is wiped clean off the earth. I’m so profoundly jealous. I can’t even imagine what would happen should the Jets reach the Super Bowl, let alone win. It could happen next year, it may take another 30+ years (god I hope not). But until then, I’ll remain patient. The wait is torturous, but if that day ever comes, it’ll be damn worth the wait. Congrats to the Eagles, to hell with the Patriots, and let’s go Jets.